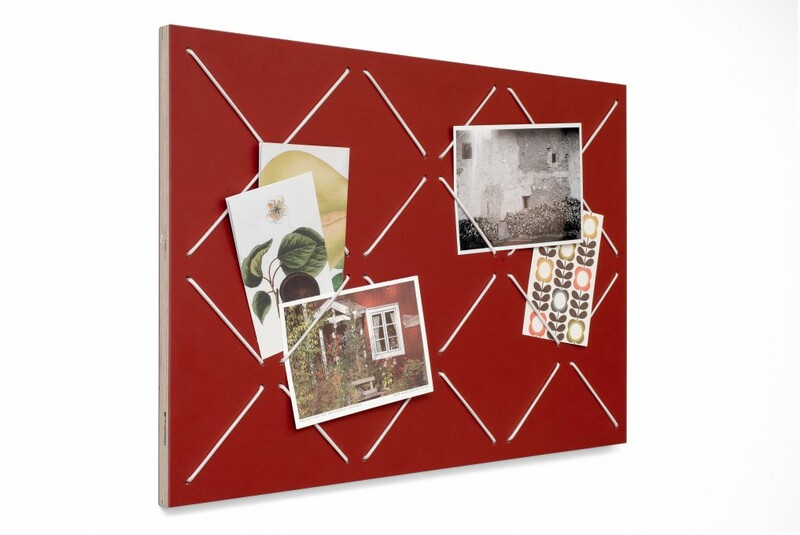 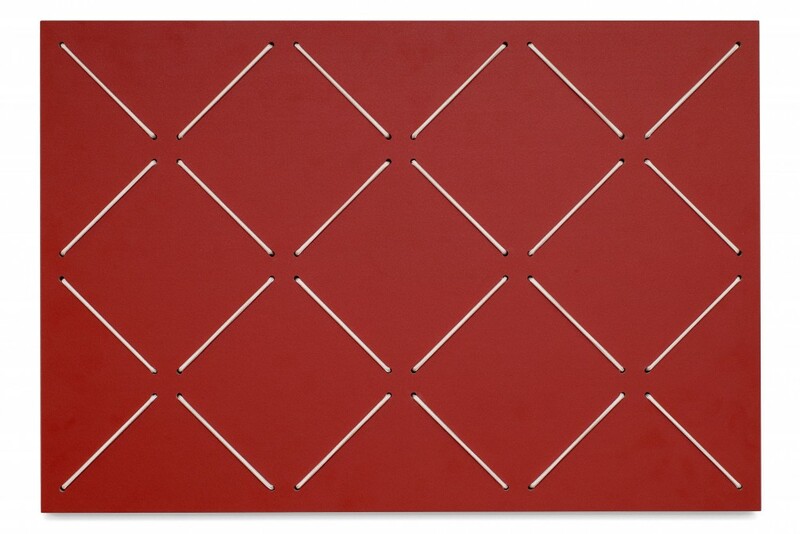 Display your style with our red pinboard! 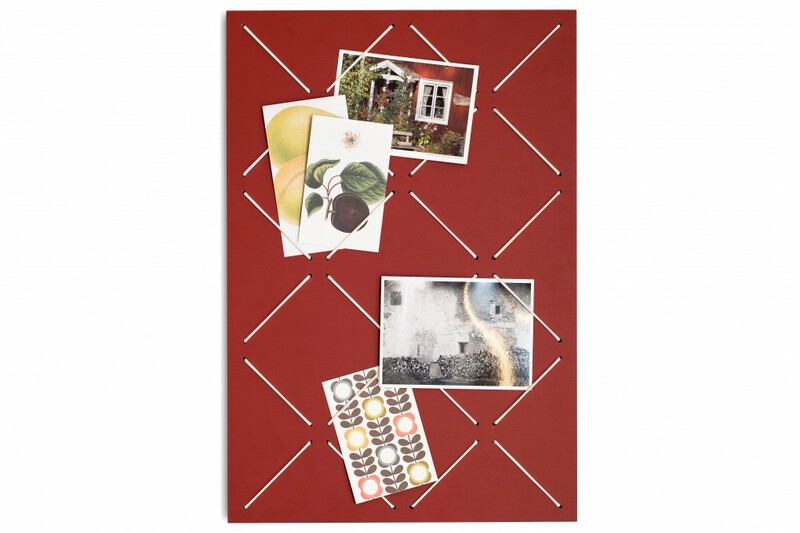 This pinboard offers you a smart and yet chic way of storing and presenting tickets, postcards, or photos. 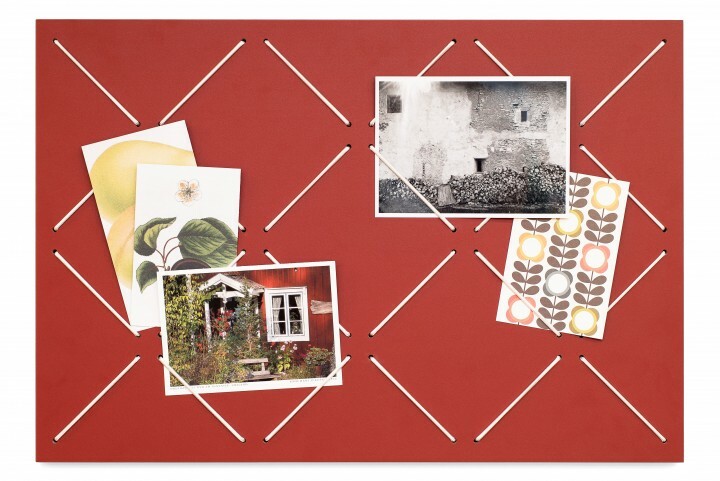 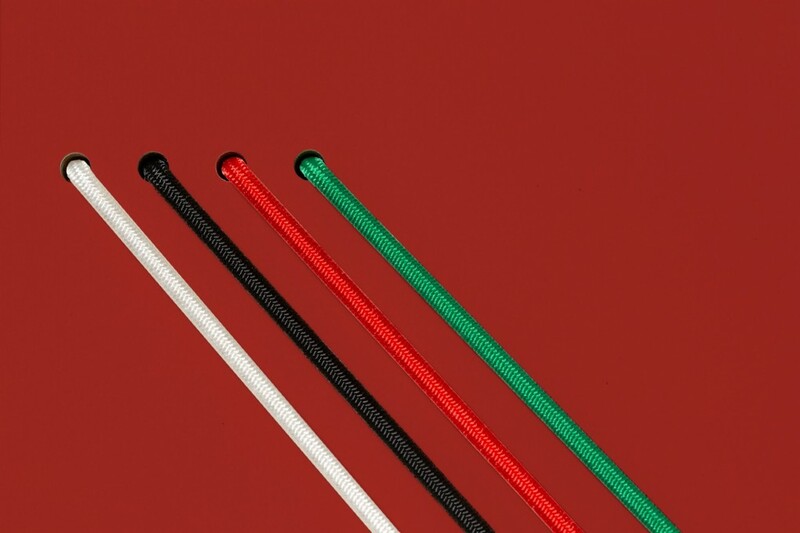 The elastic ropes criss-cross the board, enabling you to display photos, birth announcements, postcards, wedding invites – you name it. 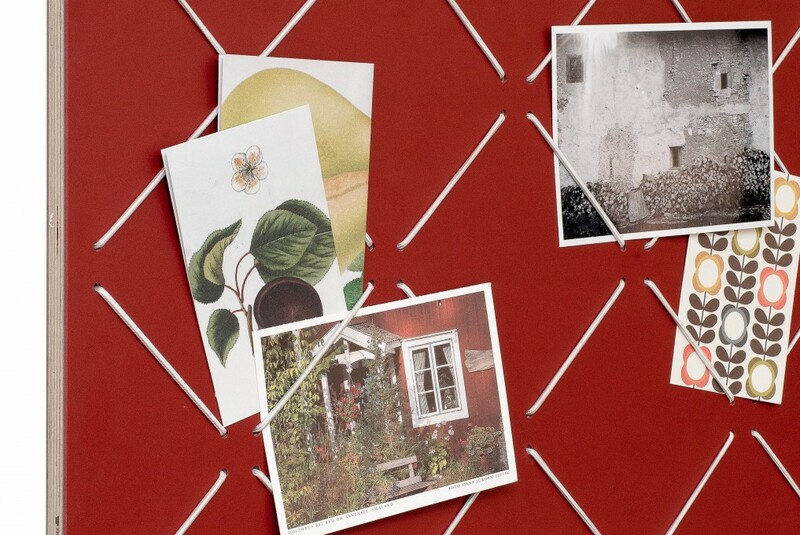 As your keepsakes are safely tucked behind the ropes, no damage will be done to them. 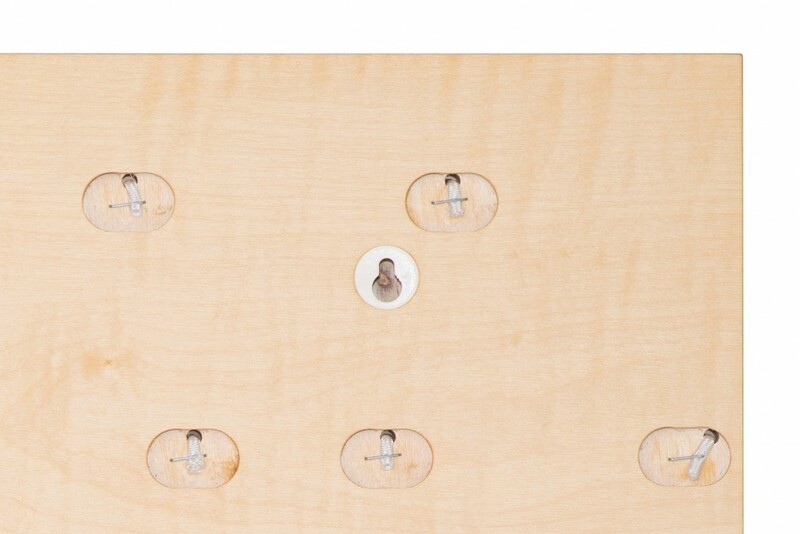 The pinboard can be hung either landscape or portrait with the help of two screws and dowels.